If you’re in touch with hot pop culture references, then you’ve seen a lot of memes floating around the internet, especially on social media.These funny images communicate a trendy idea or story in an instant. A few years ago, this style of internet graphic would have seemed totally out of place on the pages of your publication. But today, they’re a totally acceptable way to supplement your yearbook photos! With that being said, there are certainly steps you can take to make the memes you choose appropriate for your theme, your school or a particular story you’re featuring. Below, I’ll walk you through the best ways to find memes that your students can relate to–including an easy way to create memes that are exclusive to your school! One of the best ways to check out some of the memes that students are sharing is to get on social media. 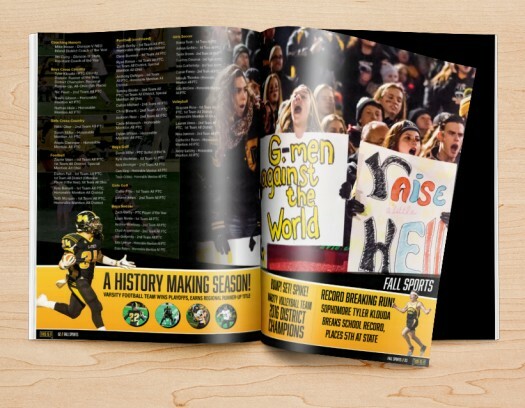 If you have a student-based yearbook committee, this is especially easy. Ask your students to start keeping copies of the funny memes they encounter over the course of a two-week period. At the end of those two weeks, have all of your students compile their memes (perhaps email them to you) and share them during your meeting. Go through each one to identify whether it has a concept that plays into your theme, or any of the individual stories within your book. For example, a Grumpy Cat meme probably isn’t an appropriate way to supplement your heartfelt articles, but would be perfect for a pop culture reference to what was going on in the world this year, or a story about how students use social media to communicate. Tumblr is a niche website where memes abound. And that makes it the perfect place to do some meme research! You can make meme-specific searches, or hunt down ideas through a filter that’s a bit more broad–like “middle school.” To start, type your query into the search box at the top left of the page. Start sifting through the images that pop up. There will likely be a lot of them, and not everything that you find will be a perfect fit for your yearbook photos. But then you’ll stumble upon one that brings you back to your own middle school days, makes you actually laugh out loud and becomes something that you absolutely have to incorporate into the pages of your book. 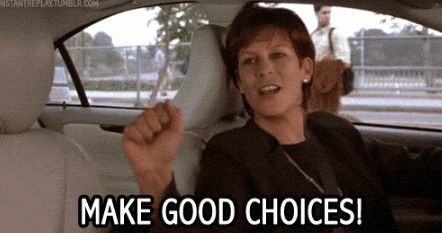 It might even be so good, like this fabulous “Make Good Choices” meme from the movie Freaky Friday, that you have no choice but to build a short feature around it. And that’s when you know you hit the meme jackpot: when your research creates great content for you. If you’re dead set on including a meme within a particular story, but there isn’t one that’s standing out for you to use, just create your own! There are a lot of easy-to-use meme generators online. 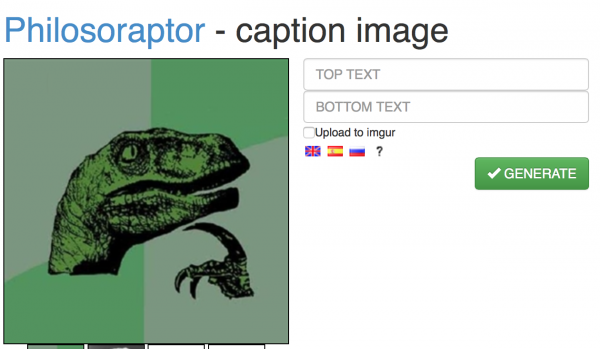 memegenerator.net even pulls together a bunch of the images that are popular across the internet, so that you only have to add text! To start, select the “Create” option in the website’s main menu. Then, select an image to use. Add your top and bottom caption. And viola! 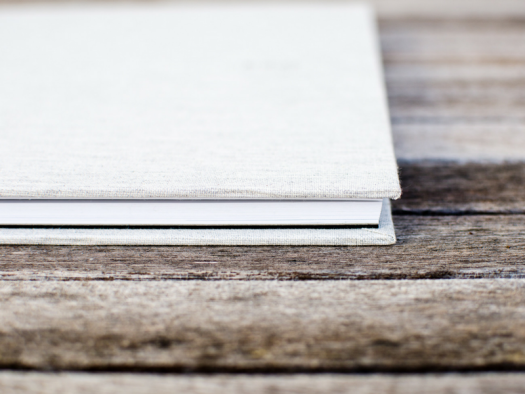 You have the perfect meme that supplements specific content within your book! Yearbook memes have become a part of daily life for students who participate on social media. This makes them relatable, and the perfect way to add awesome yearbook photos to your publication. (But be sure you fully understand the context of each meme–there’s nothing a student will spot quicker than a misused meme!) 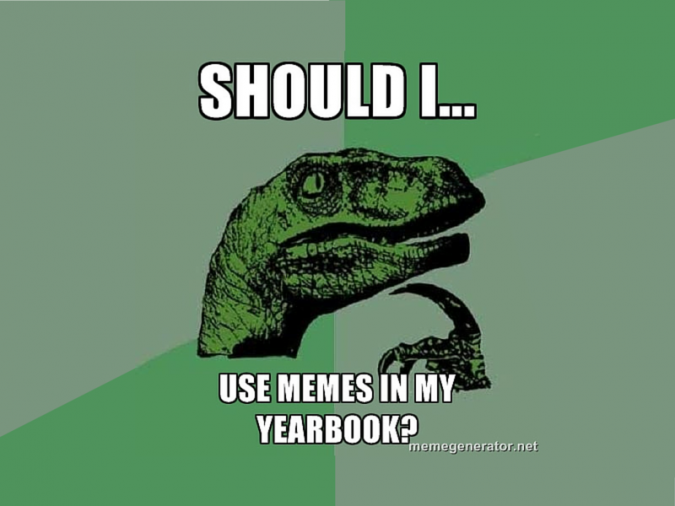 Whether you create your own or just find some that make your yearbook content magnificent, you’ll have a ton of fun searching for memes that keep your students laughing. 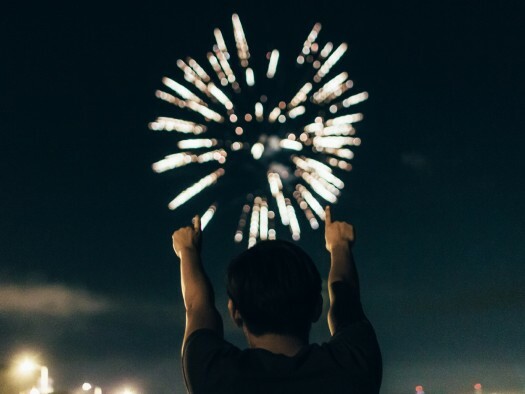 And that will definitely make your content more engaging this year!